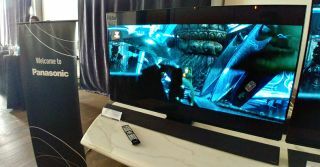 Panasonic | Reviews and products | What Hi-Fi? Can the Panasonic TV with the adjustable stand deliver? This 4K set is a joy to watch and a pleasure to use, but how does the Panasonic shape up against its closest competitors? Best 50-52in TV, Awards 2012. The best just got better. Best portable on-ears up to £50, Awards 2012. Come in a great choice of colours and flawless for the money.